For the first concert of our 26th season we will be visiting the magnificent setting of St Michael’s Church, Lilleshall. Pieces by Haydn, Byrd, Tallis and Purcell. 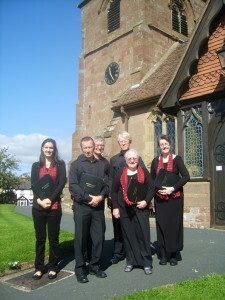 The Beaumaris Singers will be led by Simon Collins, Director of Music, with organ accompaniment. Refreshments will be served. Tickets are available from Fran Taylor (01952 604718), choir members (01952 820851) or on the door. As well as raising money for the choir we will also be raising money for church funds.